This is a textbook and practical clinical handbook for all students and practitioners concerned with evaluation, diagnosis, assessment and management of neck pain and cervical headache particularly in relation to whiplash. 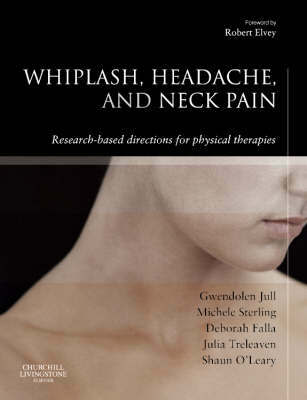 It is written by a group of researchers and clinicians who are leaders in the field of whiplash and related neck and head pain. It demonstrates the clinical relevance of the research to the student and busy practitioner. It suggests future directions for clinical management and future research. It is also extensively illustrated with line diagrams and photographs.